The Cheesecake Factory® has been making high-quality treats for many, many years. 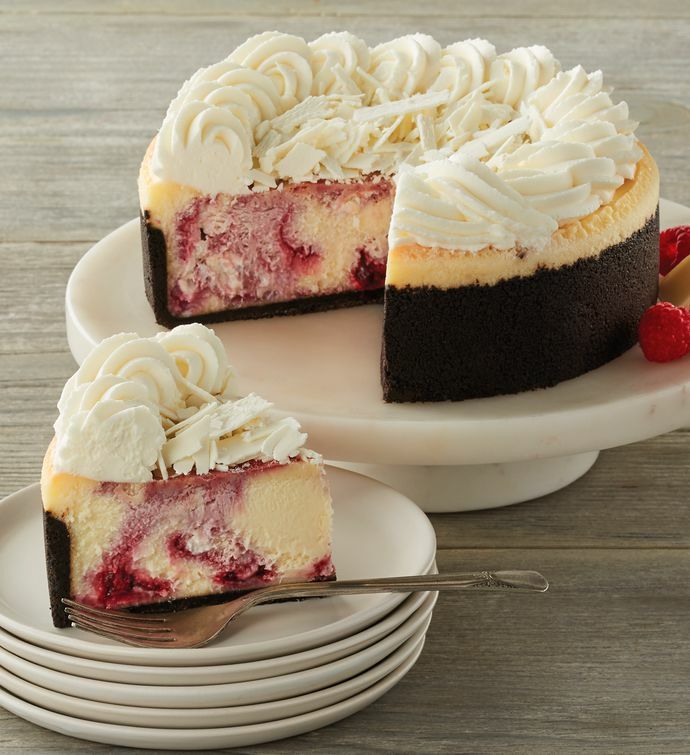 This White Chocolate Raspberry Truffle® is just one of their cheesecakes that we offer as the exclusive online vendor for The Cheesecake Factory®. Featuring a rich, creamy filling swirled with imported seedless raspberries and set in a chocolate crust, this cake is topped with white chocolate shavings. It blends a fruity zest with lush, buttery elegance and is a stunning treat to follow dinner. The Cheesecake Factory® has been making their signature desserts for decades, and the time and effort devoted to quality is evident in each and every slice.